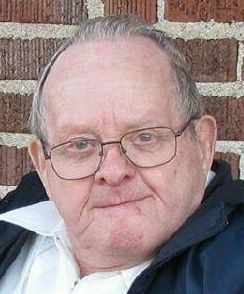 Merle R. Yeakey, 85, of Mishawaka, passed away Monday evening, May 14, 2018, in St. Joseph Regional Medical Center. Merle was born March 21, 1933 in Mishawaka, a son of the late Earl and Charity (Flowers) Yeakey. He married Shirley Vervynckt on October 10, 1953 and the couple made Mishawaka their home. He served his country in the US Army from 1953 – 1955. Merle was employed for 50 years at Dodge Reliance Corporation and at the time of his retirement he had the most seniority of all their employees. He was a former member of the Dodge Quarterly Club. Merle loved playing the Hoosier Lottery and in recent years going to the casino. He enjoyed yard work and fishing in his younger days. Merle’s surviving family includes his four children, Christine Hamman of Mishawaka, Paula (Ed) Walsh of Granger, Tim (Laureen) Yeakey of Oklahoma and Lori (Terry) Follis of Tennessee; 11 grandchildren, 10 great grandchildren and 3 great-great grandchildren; two brothers, Jerry Yeakey and John Yeakey; and three sisters, Jean (Don) Broeker, Mary Lou Holmes and Carol Riffle. Merle was preceded in death by his wife Shirley on January 16, 2007, and by several brothers and sisters. Services will be held at 11 am on Saturday, May 19, in Goethals & Wells Funeral Home, 503 W. 3rd Street, Mishawaka, with Pastor Bob Vale officiating. Private family burial with military honors will take place Monday in Fairview Cemetery, Mishawaka. Visitation is from 10 – 11 am Saturday in the funeral home. In lieu of flowers, memorials are suggested to the Center for Hospice Care (Hospice Foundation).